William Gallas On His Way Out Of Arsenal? Arsenal defender William Gallas may be forced into exiting the club as negotiations for an extension to his contract have broken down again. Gallas’ (32) current deal runs out in the summer and he has been pushing for a two year contract extension, despite Arsene Wenger having a policy in place of only offering players over 30 twelve month deals. The Daily Mail are also reporting that AC Milan are waiting in the wings, should Gallas decide that his future lies elsewhere. For all his flaws, the fact remains that Gallas is vastly experienced and has played at the very highest levels for the majority of his career. The Frenchman has also formed a decent partnership with new recruit Thomas Vermaelen in the centre of the Arsenal defence this season. We’ve seen before how resolute Wenger can be when it comes to the policies he has in place at The Emirates but should he really be willing to lose one of his most senior players for the sake of an extra 12 months? 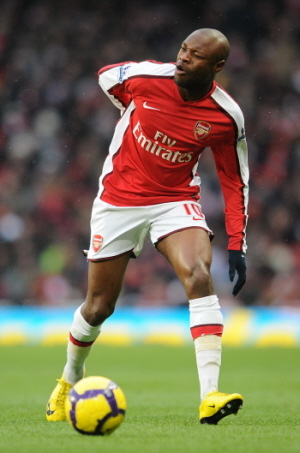 If Gallas does leave (on a free transfer) who could Arsenal possibly bring in to fill the void?